Terror Victims Association, Almagor, say they have a list of 120 Palestinian prisoners that Palestinian Authority President Mahmoud Abbas is demanding are freed as part of any future peace talks, Israel Radio reported on Sunday. Almagor believe that amongst the list of captives is one of the terrorists responsible for the deaths of hitchhikers Ronen Tobol and Lior Karmeni. Members of Almagor have requested a meeting with Justice Minister Tzipi Livni and are waiting for a response from the Hatnua leader. Israel Radio: PA agrees to give Kerry more time for his efforts to get sides to the negotiating table without placing a deadline • Israel considers staged release of pre-Oslo Palestinian prisoners • Netanyahu says no compromise on security. Prime Minister Benjamin Netanyahu on Sunday showed no signs of bending to Palestinian preconditions as U.S. Secretary of State John Kerry pressed forward with efforts to restart Middle East peace talks. Palestinian officials told Reuters that Kerry’s trip provided no breakthroughs, but did yield some progress. Netanyahu says he will not compromise on Israel’s security, and that if a deal is reached, he will seek approval in a national referendum. Kerry extended his Middle East peace mission on Sunday, shuttling between Jerusalem and Amman for more talks with Israeli and Palestinian leaders on reviving their stalled negotiations. But officials on both sides played down prospects of the bustle bringing about any imminent diplomatic breakthrough that would restart the talks. Despite meeting with Netanyahu for a total of 13 hours, including a marathon six-hour meeting overnight Saturday that ended at 3 a.m., and despite three separate meetings with Palestinian Authority President Mahmoud Abbas (the last of which was still ongoing at press time), Kerry seems to have failed to bring both sides to agree to publicly and officially resume peace talks. But Kerry’s trip may have scored some victories nevertheless. According to a report on Israel Radio on Sunday afternoon, the Palestinians have agreed to give Kerry more time to proceed with his efforts without placing a deadline for a resumption of unilateral moves at the United Nations. Israel, according to the report, is seriously considering the staged release of pre-Oslo Palestinian prisoners which would take place not as a precondition to a resumption of talks, but as the talks happen. Top Israeli defense officials have given the “all clear” to the political leadership for the release of pre-Oslo Palestinian prisoners, saying that the release of these prisoners does not pose a security risk to Israel, the Israel Radio report stated. The issue of a Palestinian prisoner release is a sensitive and emotional topic for Israeli politically, and the Almagor Terror Victims Association on Sunday said that the prisoners slated for release have blood of Israelis on their hands. The Israel Radio report also stated that some of the gestures Netanyahu would be required to make to jumpstart talks with the Palestinians might force Habayit Hayehudi Chairman Naftali Bennett to resign from the government. Bennett has said on numerous occasions that he is not opposed to the resumption of peace talks and will not torpedo them, but that he is adamantly opposed to the creation of a Palestinian state. Canceling a trip to Abu Dhabi, Kerry on Saturday flew from Jerusalem to the Jordanian capital for a second meeting with Abbas. He then returned to Jerusalem to see Netanyahu for a third time. According to U.S. officials, Kerry wanted to hold a joint press conference with Abbas, but later called it off. State Department officials said Abbas and Kerry had met privately for about two hours at Abbas’s residence in Amman before advisers joined them. Earlier in the day, an Israeli official said Kerry’s visit could yield an announcement that Israeli and Palestinian delegates would meet under U.S. and Jordanian auspices. But as Kerry headed into a late dinner meeting with Netanyahu and key advisers on Saturday night, a member of Netanyahu’s inner circle, Homefront Defense Minister Gilad Erdan, sounded less upbeat in a television interview. Asked whether new direct talks with the Palestinians might be imminent, Erdan told Israel’s Channel 2: “To my regret, no, as of now.” “To the best of my understanding, Abu Mazen [Abbas] still has the same preconditions, which we have no intention of meeting,” Erdan said. He stressed that the willingness to talk did not indicate Israeli flexibility on core issues. U.S. officials have compared Kerry’s shuttle diplomacy to Henry Kissinger’s Middle East peace efforts in the 1970s. However, Kerry—now on his fifth visit as a peace broker to the Israeli-Palestinian stalemate—has said he would not have returned to the region so soon if he did not believe he could make progress. He has been guarded about his plans to break the impasse, while warning time is running out. He is keen to clinch a deal to resume talks before the U.N. General Assembly, which has already granted de facto recognition to a Palestinian state, convenes in September. Netanyahu is concerned that the Palestinians, in the absence of direct peace talks, could use the U.N. session as a springboard for further statehood moves, circumventing Israel. Israeli officials still think Abbas might call off the talks shortly after they begin and then try to paint Israel as the rejectionist to lay the groundwork for his U.N. effort. State Department officials believe the sides will return to negotiations once there is an agreement on confidence-building measures—such as a partial Israeli amnesty for Palestinian security prisoners—and a formula for fresh talks. As an incentive for talks, Kerry is also working on a $4 billion economic plan led by British former Prime Minister Tony Blair, which would channel new investments in Palestinian areas via the private sector to boost jobs and economic growth. Israeli officials have noted over the weekend that Jerusalem and Washington both want talks to resume without preconditions, but Abbas has so far refused to show flexibility. Netanyahu’s office meanwhile refused to comment on Sunday on reports that the government is advancing the construction of 930 housing units in the Har Homa neighborhood in Jerusalem. The Housing Ministry clarified that these are not new plans, and that the housing units were approved some years ago. What has now been publicized is the eligibility of those who have won tenders, as well as grants and loans. The rumored focus of Palestinian Authority demands is the issue all terrorists who were jailed before the Oslo Accords including many with “blood on their hands.” Dozens of Israelis have been murdered by terrorists who previously have been released by Israel in “good will “measures or in exchange for dead bodies of Israeli soldiers. The Almagor terror victims association said that it has obtained a list of 100 prisoners whom chairman Mahmoud Abbas demands that Israel be freed as a “goodwill” gesture before the resumption of direct talks. The list includes terrorists who killed Jews in cold-blooded murders. The Almagor Terror Victims Association has dispatched a letter to US Secretary of State John Kerry criticizing US efforts to free convicted Palestinian murderers and requesting a meeting with Kerry. The letter is a response to continuing US pressure on the Israeli government to accede to Mahmoud Abbas’ demand that Israel free all Palestinian prisoners who have been in Israeli jails since before the Oslo Accord. Abbas has preconditioned peace talks with Israel on the release of these prisoners and on Israel’s freezing construction rights of Jews in eastern Jerusalem, Judea, and Samaria (the West Bank). – “Jaradat Mahmad Anis Aiman took part in the murder of two Arab Israelis in order to steal their weapons; kidnapped, interrogated, and murdered two others who he believed were cooperating with the Israeli authorities; murdered another person he considered a “collaborator”; attempted to murder another person; murdered yet another individual whom he had kidnapped with intent to interrogate him; attempted to kidnap and seriously injured an additional person he suspected of “collaboration”; kidnapped, interrogated, and attacked another 13 people he thus suspected; fired and threw rocks on Israeli security forces on multiple occasions; and shot at civilians. – “Muhammad Tawafiq Saliman Yousef Jabarin was one of the terrorists who committed the slaughter of “the Night of the Gliders” (as it is known in Israel): he used a glider to infiltrate Israel from Lebanon and proceeded to murder three soldiers and seriously injure a fourth. – “Salah Ali Hader Razeq stabbed a university professor to death in Jerusalem, working with his accomplice; broke into the home of another Israeli civilian and proceeded to stab and choke him to death; stabbed to death an individual he suspected of cooperating with the Israeli authorities; and on two occasions attempted to murder other Israelis in their homes. Signatories to the letter include Almagor CEO Lt.-Col. (ret.) Meir Indor; Almagor Bereaved Parents Forum Chairman Dr. Aryeh Bachrach; Rahamim Dadi, brother of murder victim David Dadi; Rachel Boblil-Ohana, sister of David Dadi; Sapir Hazut, daughter of Daniel Hazut; Allegra Yisrael, mother of Moti Yisrael; Geula Delarosa, mother of David Delarosa; Elad Delarosa, brother of David Delarosa; Ora Klein, widow of Tzvi Klein; and Yigal Erez, brother of Shmuel Erez. The story of Ayman Sharawna, a Hamas terrorist from the Hebron area, should be of interest to all of us. In 2002, he was sentenced to 38 years in Israeli prison on charges of terrorism, including planting a bomb in Beersheba that wounded 19 people. Sharawna was set to serve a prison sentence until 2039 but was released earlier, in October 2011, as part of the Gilad Schalit prisoner swap. Sharawna signed a pledge not to return to terrorism, but he could not restrain himself, so to speak, and in early 2012 he was once again arrested for terrorist activity. Sharawna was not discouraged. He soon embarked on a 53-day hunger strike that led to street protests and became part of the larger Palestinian “prisoners’ struggle.” Israel was embarrassed. It succumbed to pressure and released Sharawna to the Gaza Strip for ten years, rather than have him complete his jail sentence. Recently, Sharawna sent a clear message to those of us who are still naive. In an interview to a Lebanese television station, he said that he had once again returned to military action as part of the Izzedine al-Qassam Brigades, Hamas’ military wing. The story of Sharawna, who is old for a terrorist, is pertinent because Palestinian Authority President Mahmoud Abbas has insisted, as a precondition to negotiations, that Israel release more than 120 serious terrorists with blood on their hands, terrorists around Sharawna’s age, who murdered and committed crimes prior to the Oslo Accords. The story is also pertinent because the U.S. is applying pressure and also because naivete continues to run rampant in our midst. There are those—for instance, President Shimon Peres—who have suggested that we respond positively to Abbas’ request. Released terrorists like Sharawna have caused hundreds of deaths and thousands of injuries in the past few decades, but Israel simply refuses to learn its lesson. Sharawna is not an isolated case. Hundreds have been released in prisoner swap deals. Gestures of goodwill have boomeranged against us in the form of dead and wounded. And the same is the case with terrorists from the Schalit prisoner swap, even though this time we were told that things would be different. This past January, the Israel Security Agency arrested about 20 Hamas activists in the Hebron area. They were planning a series of abductions. Most of them had already served time in Israeli prisons, and their contact person was Housam Badran, a Hamas operative who had been released in the Schalit deal and exiled to Qatar. In February, another Hamas terror base was exposed. This one was run by another terrorist released in the Schalit deal: Basel Himouni, who had been exiled to Gaza. In March it was revealed that Amr Dokan, another terrorist released in the Shalit deal, had tried to recruit Amr Barakat, a resident of Nablus, to carry out a shooting attack on the Nablus bypass road. In May, a Hamas operative was arrested in the area of Ramallah. He confessed that a month prior he had been recruited to Hamas by Hisham Abd al-Qader Ibrahim Hijaz, who is responsible for the deaths of ten Israeli citizens and soldiers in several attacks. Hijaz was sentenced to ten life sentences, released as part of the Shalit deal, exiled abroad, and today he too lives in Qatar, where he is not content to rest on his laurels. All of this information is freely available. Anyone who reads the Meir Amit Intelligence and Terrorism Information Center website will learn all of this and more. Furthermore, we’ve almost forgotten this, but as part of the Oslo Accords, the Palestinian Authority promised to hand over those who murdered Jews after the agreement was signed. The purpose was to highlight the difference between the period before the agreement and afterward. Despite this explicit commitment, the PA has refused to extradite the murderers of Ohad Bachrach and Uri Shahor, who were murdered while hiking in Wadi Qelt. The same goes for the killers of Uri Megidish, David Boim and others. In the beginning, Israel still demanded that these commitments be honored, but after continually being rebuffed, it gave up and stopped asking the PA to fulfill its commitment. Now Mahmoud Abbas and the PA have come along with a brazen demand to release terrorists from the period prior to Oslo. This, at a time when terrorists released in the Schalit deal and prior deals have returned to terrorism. No one has asked how those who shirk their commitment to hand over murderers for punishment dares to ask for the release of terrorists who are being punished, terrorists who often return to commit terror. Mahmoud Abbas’ preconditions for renewed negotiations include the release of 120 terrorists serving prison terms for murdering Jews. 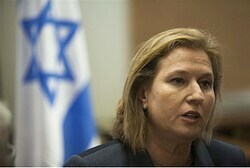 Justice Minister Tzipi Livni admits that “these are serious cases,” but didn’t reject the demand off the bat. This news has reopened the wounds of the victims’ families. October 1984. Students Revital Seri and Ron Levi were hiking along a trail south of the Jerusalem neighborhood of Gilo. Unfortunately for them, also present was Issa Abd Rabo of Dheisha (near Bethlehem), who had come to the outskirts of the capital to find Jews to kill. He came across them, bound them at gunpoint, covered their heads, and shot them to death. I didn’t know the two, but I was one of those organizing the searches when they were reported missing. The story of their lives and death touched me so much that I named my daughter who was born that week Revital, after Revital Seri (while adding the name Tichye—”may she live”—in accordance with instructions from Rabbi Eliyahu). But the rais doesn’t just talk. He also acts. Mahmoud Abbas is demanding the release of the students’ murderer as part of his demand for the release of 120 “long-time prisoners,” which he’s made a precondition for renewing negotiations with Israel. 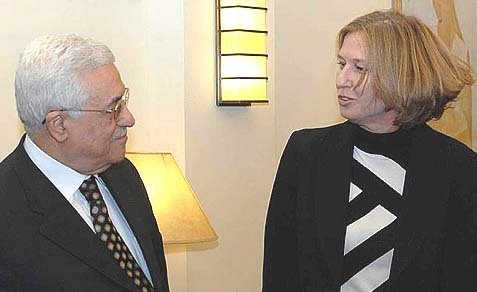 When Justice Minister Tzipi Livni received Abbas’ demand, rather than tell him to drop dead, she issued instructions to send her the terrorists’ files—quite the encouraging signal from the Palestinians’ perspective, given that she would be the first one to sign on pardons for them. Livni has a conflict of interests. On one hand, she has to maintain the rule of law and the independence of the law enforcement system. On the other hand, she is in charge of political negotiations: that was the very reason she joined the coalition. She did, to be sure, note that these are “serious cases.” We’ll come back to that. Who are these 120 prisoners? The Palestinian Authority talks about long-time prisoners, old people, the sort who are so advanced in age that they’re utterly harmless. We requested and searched for their details for a long time—but to no avail. All the officials to whom we turned somehow found themselves unable to be of any help. And then we got our hands on the list. Yousef Shamashaneh Ju’ad and his friends already had experience abducting Israelis. They had managed to abduct seventeen-year-olds Lior Tubol and Ronen Karmani from Kiryat Yovel in Jerusalem by disguising themselves as Jews and offering them a ride. After murdering the youths they threw their corpses into the wadi between Ramot and Beit Chanina. The bodies were found only after several days of searches. In March 1993, those same murderers offered a ride to Joshua. They killed him and discarded his corpse near Abu Gosh, on the side of the road. Thousands of Jerusalemites who didn’t know him attended his funeral. The procession began at Mechon Meir, where he had studied prior to his army service. I met his father and mother by their son’s grave on Memorial Day this year, as always. They were shocked to learn that their son’s murderers were liable to be released along with the rest of the 120. It was an Egged bus, traveling along the Jordan Valley road from Beit She’an to Jerusalem. Near Jericho, the murderers threw Molotov cocktails at the bus, and it quickly caught fire. Seated in the back seat of the bus was the Weiss family: the father, the mother, and their three infant children. The bus driver opened the doors and shouted to the passengers to quickly ge out of the burning bus. Almost all did—but left inside were Rachel Weiss and the three infants. Another one of the passengers was David Delarosa. David, who already was outside the bus, saw the Weiss family trapped inside and re-entered the burning vehicle to save them. He tried to pull out Rachel and her children, but to no avail. David received serious burns and began to choke, and he was forced to leave the bus. I was at his bedside in the hospital. David was lucid; he also was able to speak. We all thought he would make it. But the internal burns to his lungs, caused by the smoke in the bus, put an end to him. Geula Delarosa was surprised when I came to discuss how to prevent her son’s murderers from being released. As in the homes of many other bereaved families, much of the family home is dedicated to the memory of the lost son: pictures, certificates, insignia, memorabilia. Geula, a fierce woman and quick writer, wrote a scathing letter to the prime minister and president on the spot, and gave it to me to pass on. The death of Border Policeman Nissim Toledano touched a cord with Israelis, not least due to its aftermath. In December 1992, Toledano was abducted from Lod by a Hamas cell when he was walking to early morning prayer services at the synagogue by his home before going on duty. At first Hamas demanded the release of its leader, Sheikh Ahmed Yassin, in exchange for Toledano, but in the end the policeman was murdered. His body was discovered bound and stabbed. I made the acquaintance of his mother, Odette Toledano, when in the middle of the shiva period, she and her remaining children came out as Almagor representatives to back up Rabin’s decision to expel 415 Hamas members to Lebanon as a reaction to the murder. Then, that winter, she sat with us for two months in a tent that we set up across from one that had been erected by Israeli Arabs to pressure Rabin into bringing the Hamas members back from Lebanon before the set time. When the cell was caught, its members turned out to be residents of various parts of Jerusalem: Anata, Sur Baher, Shuafat. Most of these terrorists, who were sentenced to three life sentences and are today in their forties, have already been free for some time due to the Schalit Deal. One of them, Issa Moussa Issa Mahmoud, remained in prison and was not released in the deal, because in addition to the Toledano murder he serious injured a soldier whom he ran over, participated in firing at a police car, and seriously injured a police office who was sitting in it. And he didn’t stop there: during his time in prison, he assembled a terrorist cell whose goal was to abduct soldiers and commit other terrorist attacks. He too is on the list of 120 prisoners, even though he is a Hamas member. When it comes to something like this, Hamas and Fatah can get along. Everyone is a martyr. Everyone is a shahid. Professor Menachem Stern made aliya from Poland at age thirteen. He studied at the Hebrew University, where he received his degree in Jewish history and world history. After completing a third degree at Oxford, he returned and became one of the most senior lecturers and scholars in Jerusalem, a member of Education Ministry curriculum committees, the president of the Israel Historical Society, the director of the Shazar Center, and a member of the Israel Academy of Sciences. While walking from home to the Givat Ram university campus in June 1989, in the forested area by the Israel Museum, Professor Stern was ambushed by two Arabs. One held him. The other stabbed him repeatedly until the sixty-four-year-old was bleeding to death. The professor’s body was found by schoolchildren passing by. Three years later, Salah Halil Ahmed Ibrahim was caught and sentenced to life imprisonment. Today, if Tzipi Livni adopts Shimon Peres’ recommendation, he also will be freed as a member of Abbas’ wish list. Toward the end of the December 1993, David Dadi, along with his aquaintance Chaim Weitzman, was stabbed to death in the former’s apartment in Ramla. Arab workers from Gaza working in a neighboring apartment had entered the home and succeeded in overpowering them. David was known for his voice, and loved to sing. He had a special joie de vivre and loved to laugh and to smile. He also loved to study Torah. After the murder, the killers desecrated the bodies, cutting off their ears to show friends when boasting of their accomplishment. They too are already in their forties. They too appear in the list of “old” prisoners whose release is demanded. Three Israeli Arabs from Wadi Ara, members of the Agrebya clan, infiltrated the camping area of a firing range in the southern Carmel Mountains and used pitchforks to murder three IDF trainees as they slept. The event became known as the Night of Pitchforks. The murderers became popular Palestinian heroes—and all three are on the way to freedom. Peres already has reduced their sentences in accordance with a recommendation by the Ministry of Justice and pressure exerted by an Arab Knesset members from their area. But that isn’t enough for Abbas. He wants them released now. Years after the Night of the Pitchforks, another member of that clan murdered Sharon Steinmetz and her friend Yechiel Shai Finster in the eastern Carmel. Sharon had recently finished her national service at Hadassah; Yechiel, a graduate of Yeshivat Or Etzyon, had just completed his military service in the Armored Corps. The two had met in Rabbi Eiyahu Zini’s beit midrash while studying at the Technion. The two were on a hike in Megiddo Forest. While they were stopped by Keini Stream, that other member of the Agrebya clan, from the nearby village of Mushayrifa, came over and started a friendly conversation with them, all the while keeping his long knife hidden from view. As soon as he had the hikers distracted, he drew his weapon. First he attacked Yechiel, knowing that he would have an easier time of the young woman once Yechiel were knocked off. She fought for her life, but he succeeded in killing her too. Their bodies were found the next day in the stream. This case of the couple that had innocently gone on a hike on Jewish land resulted in a public uproar, both because it happened in the middle of pre-1967 Israel and because the murderer was an Arab Israeli. The Steinmetz family has been having a difficult time of late. The father, Aryeh, an engineer at Rafael Advanced Defense Systems, worriedly told me that he had seen an interview with a representative of the Ministry of Justice and defense attorney Ben Natan in which they told how terrorists are freed through the efforts of the Ministry of Justice and the president’s pardon. Israel did away with capital punishment, and now even life imprisonment is no more, whether due to abductions, goodwill gestures to buy political negotiations, or individually tailored “rehabilitation” schemes. The murder victims can’t be rehabilitated. Neither can the families that see the murderers living freely. “Capturing a terrorist is a long, hard process. The first step is to invest in intelligence and look for a lead. Then you have to verify the information and get proof from other sources. You have to gather more intelligence: to whom is he connected, who gives him instructions, whom does he give instructions, where does he live, what’s his lifestyle, where does he move around, with whom does he move around, who are his family members. You have to observe him and learn his daily routine. “In the next stage, you have to wait for an opportune time to catch him. “At every stage we are literally risking our lives. I personally know four cases of people who were killed on the job. “When it’s time for the capture, the main effort goes from the ISA to the IDF. Here, soldiers risk their lives and often find themselves in crossfires with the terrorist and those around him. “And when the terrorist is caught, that’s not the end of the story. A new process begins: interrogating him, figuring out how to get him to confirm everything that’s already known about him and divulge the details of everything that’s not know about him. “Then you bring in the police. They, not the ISA, put together all the information to get a conviction. After that there’s the indictment. The trial. The verdict. “Usually, when the detainee is put on trial, the Shin Bet investigator is called up to testify. The terrorists’ attorneys try to punch holes in his testimony, and that’s another challenge, and not always an easy one. In the end the murderer goes to jail, and you don’t know whether he’ll serve his whole sentence or there will be a political decision to release him. There are things that army officers and ISA agents can’t or aren’t allowed to do. These things fall to civil society, and they can’t be the sole province of bereaved families and victims. There is no doubt that the relative calm and scarcity of terrorist attacks in recent years resulted from capturing terrorist operatives and putting them behind bars. There also is no doubt that their release would result in future waves of terrorism. It’s already happened more than once. Measured in human life or measured in money, it is much cheaper to ensure that the terrorists stay in jail than to go through the trouble and risks of capturing them again. Justice Minister Tzipi Livni is considering the release of terrorist murderers and has received, for this purpose, the files of 120 Arab terror prisoners currently held in Israel. There is international pressure on Israel to carry out “gestures” toward the Palestinian Authority (PA) as a prelude to “peace talks” with it. The Almagor terror victims’ organization has asked Livni to meet with its representatives before she decides on recommending the release of any terrorists. Almagor head Meir Indor voiced concern that a release is becoming more likely, following an interview in which President Shimon Peres said that he favors a “gesture” such as this. Indor says his group has received the list of terrorists whose release is being mulled, and that it includes many murderers. They include the people responsible for an attack on a bus in which a mother and her three children, as well as a heroic soldier, burned alive. Muhammad Abu Sita and Ahmed Abu Sita (arrested in 1994) murdered David Dedi with knives in Ramla on December 31, 2003. Salem Abu Harbish and Ibrahim Jum’a (arrested 1988) murdered Rachel Weiss and her three small children, as well as a fifth person, David Delarosa. They threw a firebomb at a bus in which the Weiss family was traveling, near Jericho. Most of the passengers managed to get out, but Weiss and her children did not. Delarosa, a soldier, tried to pull her out of the bus but she refused to leave the bus without her children, who were caught behind a wall of flames. Delarosa died of the results of smoke inhalation, two months later. Isa Mahmoud Isa (arrested 1993) participated in the abduction and murder of a soldier, and in running over another soldier, causing him serious injuries. He also took part in the murder of two policemen, Daniel Hazut and Moti Yisrael. Mahmoud Isa and Majed Abu Katish of Anata, Mahmoud Atuan of Tzur Baher and Musa Akari were each sentenced to 3 life sentences for abducting and murdering Nisim Toledano, a Border Policeman, in 1992. Jamil Abu Srur and Hassan Abu Srur (arrested 1993) were accomplices to the abduction and murder of Shin Bet nan Haim Toledano.